Cruise Control Diet Reviews - Is it a Scam or Legit? 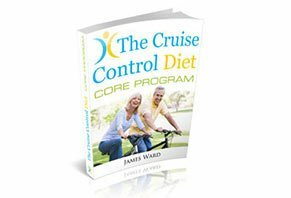 Cruise Control Diet is a natural diet plan that allows you to eat healthy foods whenever and however much you like, helping you to burn fat and lose weight. Although the Cruise Control Diet is technically a “diet,” it’s actually more of a lifestyle program than anything else. Why? But instead of gorging yourself on whatever happens to be in your pantry or fridge, the Cruise Control Diet focuses on natural, unpackaged, and unprocessed foods that can help your body burn fat. And, like any other good diet, Cruise Control has cheat days where you can eat cookies, candy, or whatever your guilty pleasure might be, which makes it “practically effortless” to reset your metabolism. All you need to get started with the Cruise Control Diet is a computer, and you (and just about anyone else) will be able to lose weight—although the company claims it’s especially effective for yo-yo dieters. Whether you’ve made a vow to get fit and trim for the new year, or are just tired of the up-and-down process of losing weight, only to eventually gain all of it (and more) back, you want something that works. But have you found it with the Cruise Control Diet? That’s what we’re here to help you figure out. Is Cruise Control Just Another Fad Diet? It’s positive that the Cruise Control Diet website specifically mentions that this isn’t some crash or fad weight loss program, which have been shown time and time again not to provide long-lasting results. Specifically, they claim that if you think you’re going to lose 50 pounds in a month, then you’re bound to be disappointed. On average though, according to the WebMD article linked to above, consuming 500 calories less per day than normal means that you’ll lose about 1-2 pounds per week. And if you’re losing more than this, it might not be healthy, which is why you should always speak with your doctor before beginning any weight loss program. Regardless of how quickly you shed the pounds, exactly how will you do it with the Cruise Control Diet? What’s Involved with the Cruise Control Diet? Here’s where things get a little fuzzy—and in all honesty—act as the first red flag for the Cruise Control Diet. Why? Because all we’re told is that we’ll be eating natural foods “that help your body burn fat,” and that you’ll be avoiding “processed, packaged” foods that can cause your body to store fat. We also know that you won’t have to worry about counting calories, calculating points, keeping food journals, or controlling your portions. That’s about it. In other words, despite all the wordiness on the Cruise Control website, we’re basically told what the program doesn’t contain, versus what it does. And based on what we do know, it seems that most of what you’ll learn in the program is common sense information you could probably find elsewhere online for free (we’ll come back around to this in the final section). Here’s another red flag that we encountered during our research. Why Does the Cruise Control Diet Website Contain Fake Links? At the bottom of most of the pages on the Cruise Control Diet website, there’s an image that reads, “Watch this video presentation to learn more…” However, regardless of the page that you’re on, clicking on it only takes you to the ordering page. In other words, there isn’t a video for you to watch—it’s simply a ploy to convince you to place an order. Want to watch this video on the Cruise Control Diet website? You can’t, because clicking on it will only redirect you to the ordering page. Now, we’re not necessarily saying that the Cruise Control Diet is a scam, but in our experience, this is a tactic frequently used by scam websites. Is Cruise Control’s pricing on the up-and-up? How Much Will You Pay for the Cruise Control Diet? The Cruise Control Diet is priced at $39.99 plus $9.99 S&H. Important note: According to the Cruise Control website, you’ll be able to instantly download a digital copy (PDF) of the plan as soon as your payment is processed. So, why do you need to pay for shipping? Well, based on the Return Policy page, you’ll have to ship your copy of the program back to the company if you request a refund within 60 days (less S&H charges), so apparently, you’ll receive a hard copy as well. To help clarify this, we sent an email to customer service and will update this review as soon as we receive a response. In order to request a refund, you’ll need to call Fisico Inc’s customer service department at 617-674-2008 or 617-229-7127. What’s the Bottom Line About the Cruise Control Diet? When it comes down to it, it seems like the nutrition information (e.g. eating healthy, unpackaged, and unprocessed foods) found in the Cruise Control Diet program could help most individuals lose weight. Especially if your diet currently contains few of these food types. But the key here is that you can quickly learn about proper nutrition by visiting websites like Smart Nutrition 101 and the SIU School of Medicine, which won’t cost you a penny. On top of this, while proper nutrition is extremely important if you’re looking to lose weight, so is exercise. And at least based on what we’re told, it doesn’t appear that the Cruise Control Diet features any fitness programs, leaving it up to you to implement one. Given all of this, instead of ordering the Cruise Control Diet, we think your time might be better spent visiting the websites above (or searching online for “proper nutrition”), and your money better spent by making an appointment with your doctor, a professional trainer, or a nutritionist. I listened to the outrageously, lengthy sales pitch and since it was cheap enough decided, oh well, why not. The pitch kept promising some answers but never did reveal any, not a good indicator. The bonus was, it promised a relatively regular diet, which is always a plus. Anyone can avoid a few foods. "ERROR: The username or password you entered is incorrect. Lost your password?" "Please enter your username or email address. You will receive a link to create a new password via email." "ERROR: There is no user registered with that email address." This clearly takes you around in circles getting nowhere. I have run into this scheme online before, definitely shady. So bottom line, I cannot download the digital course that was promised in the video. Who knows if anything will arrive by mail, time will tell. It's a good thing I took screenshots of everything starting with the order page. I have a feeling I will be dealing with the credit card company for a reversal of funds. I have tried to contact them with their in house messaging system, and it said they would get back within one day. I can't wait. I have been on the Cruise Control plan for a few months, I don’t call it a diet, because, it’s really not to me. I get plenty of delicious foods that I like. I am never hungry. The foods that you eat are good for you health. I did see a video about the Cruise Control plan. It was interesting to me, but I do like to read health articles. I know that I couldn’t found information on good foods online, but the thing I really liked, is that they keep up with you, and give you support. I have lost 52 lbs, and it was easy. I don’t need to lose any more, but I still follow it, because it’s good for the body. I do eat a little more now, but I do maintain my same weight. The guy speaks on and on and on about his personal weight issues while keeping you listening by repeatedly promising to reveal his secret to success in a minute. Also claims it's not necessary to visit a gym or work out. This, of course, is bad advice. It should be titled "100 ways to repeat yourself" or "Redundancy and nausea." Bottom line, nothing new; don't eat processed foods, eat fresh produce and healthy proteins. I have been a member of Cruise for I can’t remember how long and it was a wonderful experience. Easiest weight loss diet ever. I would like to begin again, but can’t remember my old info. I’ve had some health issues and have gained some weight back. I thought there was no time limit on the membership? Could you please respond to my question? Thank you so much. There are some things to know about the Cruise Control Diet. It's not a scam. The link lets you buy probiotics that help you get healthy. Also, the hard copy of the program is nice to have because you can read it anytime and anywhere. I keep it in my kitchen, so it's handy. You may be able to get healthy eating ideas online, but you won't get support in your email almost daily. That information helps keep you on track. With all of the tips and recipes, you can't possibly not lose the weight. I started this program not only to lose weight, but to get healthy. I'm 62 and have never been very much overweight until about two years ago. I've always tried to eat good, or what I thought was good. Until this program, I didn't know that I wasn't eating to be healthy. I've been on the program for almost two months. I've lost 11 pounds and a complete pant size. I feel good and I'm never angry anymore because the foods that you eat also control your mood. It's worth every penny and more. I started this diet because I had gained 25 lbs from the time I was 40 to the time I was 50, and I was tired of blaming it on pre-menopause and hormones. I am 5'0" tall, and my clothes were getting tight yet again, and I said I could not go up another clothing size. I weighed in at 145 lbs and felt unfit, out of shape, tired, and disgusted with myself for letting things get out of control. The Cruise Control Diet is similar to the current fad diets that you pay a lot of money on and it's basically the same concept and identically the same chemical theory of what is happening with your insulin, your thyroid, your fat stores, and your body. This is a lifestyle change, and if you have reached your breaking point, it WILL work! Be patient, stick to the plan, and you will see life changing results. In one week I lost 5 lbs, in two weeks 8 lbs, in three weeks 10 lbs (and by now you are a believer! ), in four weeks 13 lbs, in five weeks 15 lbs, and in six weeks 18 lbs. I was surprised at how low-calorie amounts I was eating in a day and how my plate was filled with healthy, low proteins and vegetable carbs, with protein and veggies, and good fruits, yet I was not hungry in between meals. And when I was, I ate some more protein or veggies to hold me over. You nee to keep a daily food and calorie log to keep you on track and weigh-in daily to see those results. Food packaging and marketing is a corrupt industry, and you realize how deceiving they are. Every processed food, even the ones deemed low fat, low sugar, low calorie, contain some type of sugar, fat, or carbs, which will eventually throw your body and your metabolism into a tailspin and metabolism, and your endocrine system into shutdown mode and full-fat store mode. This program works! My metabolism continues to work properly, and I have lost a total of 33 lbs, which puts me at a comfortable 112-115 lbs. I am approaching my one-year anniversary to healthy living, and my body looks great and feels amazing. I also sleep well and am rarely tired. It's a lifestyle change and gets you back to the basics of healthy eating. My cholesterol and glucose marker HBA1C values have dropped considerably, and where I was destined for cholesterol meds and prediabetic meds (which have nasty side effects of their own), my doctor is amazed at my progress and my results. I have recommended this program to many friends, and all have seen great results. Be strong and stick to it for three weeks before throwing in the towel. You can do anything for 14 days. And I promise if you are doing it correctly, you will see great results and continue on the road to weight loss and healthy living. I am a 5'6" woman who weighed in at the most I have ever weighed, which is 150 lbs. I was fatigued and felt like a slug. I ordered this program and followed it closely. In ten weeks I had met my goal of 130 lbs. Since it was summer, I decided to drop a little more, and six weeks later I was at 120 lbs. I decided that was too thin for my build, so I allowed just a few more carbs each day and leveled off at 125 lbs. I never felt hungry and had a lot of energy. I just feel so much healthier now. The program worked for me! My goal was to get to my pre-quit smoking weight of 195 pounds from 230 pounds in 3 months. I attained this in 10 weeks. My weight loss was so obvious that some of my friends were asking if I was sick. My blue jeans went from a 36" waist to 33". In the book they tell you there is no need to become a "gym rat", however, I started working out 3-4 times per week. I am at 203 pounds today, and that is from increased beer consumption over several months. As soon as this holiday season ends, I'm back at it full again, and I should be back down in no time. Good luck and happy dieting! Write a Review for Cruise Control Diet!